A couple of days ago I talked about my favorite lunch. That included a turkey sandwich and some sort of salad. The first salad I featured was my Easy Broccoli Pasta Salad. Now its time for the second feature salad. 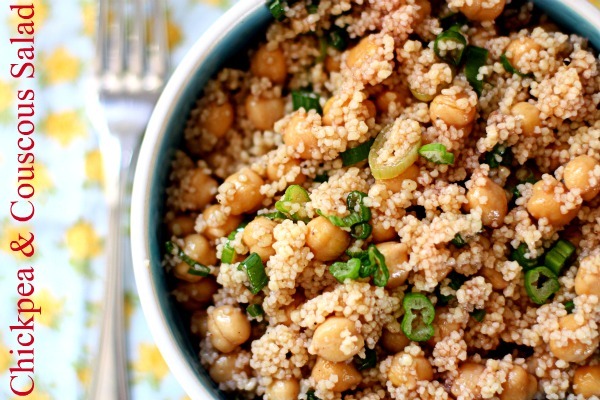 Chickpea & Couscous Salad. 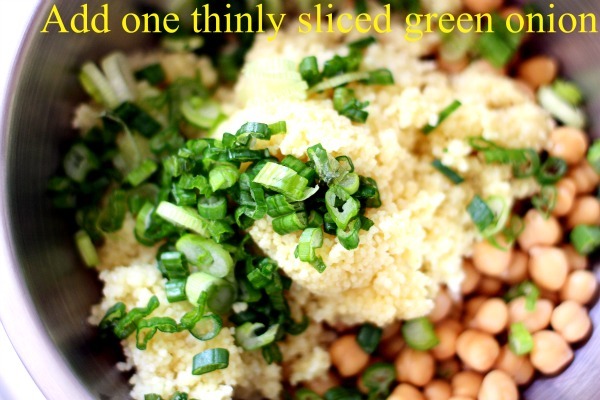 This fiber rich salad comes together in about 10 fast minutes. Make sure to drain and rinse the chickpeas first. Chopped chives also works great as a replacement for the onions. Step 6: Mix everything together and serve! 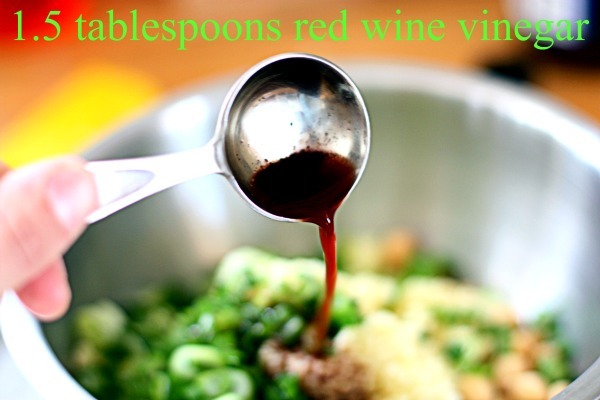 Combine all ingredients together in a bowl & serve. Salad can be served chilled or at room temperature. what a beautiful and fresh dish! looks perfect to take to a summer picnic. This sounds so good! 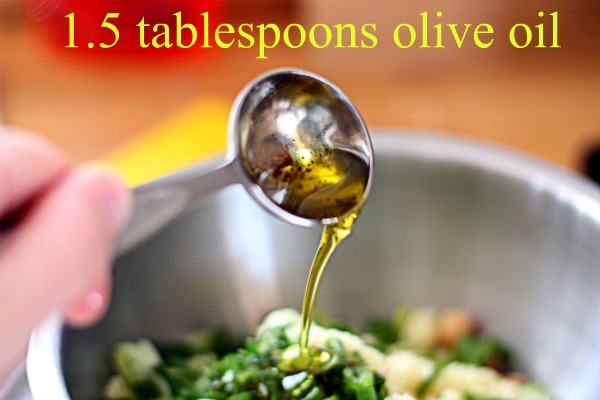 Perfect for making ahead of time for lunches and sides! Delicious- I can see myself having this for lunch, or a snack! I LOVE easy recipes like this! Yum! This looks tasty. Thanks for sharing your favorite lunches! This looks delicious! The scallions really make this pop. I’ll have to try it with something like quinoa. I love salads like this on greens! Makes for a perfect meal! Enjoy your time outside today and have a great weekend! Looks delicious…you always have the best (easy) recipes! Definitely will be trying this one…even if I’m the only one eating it! I love salads like this, and the simple flavors look perfect. Will be making this today! This looks good and easy. Will try it out! Yum! 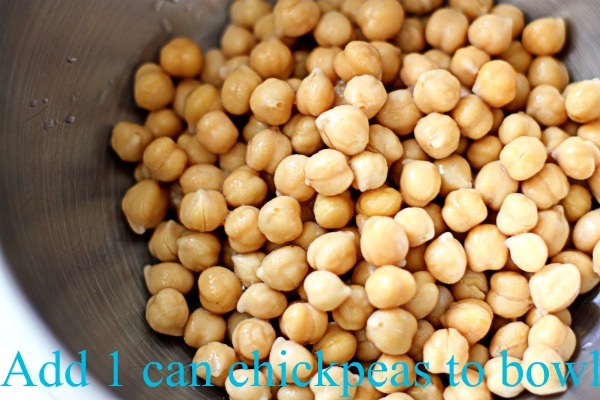 I have an obsession with chickpeas lately. I can’t wait to try this! 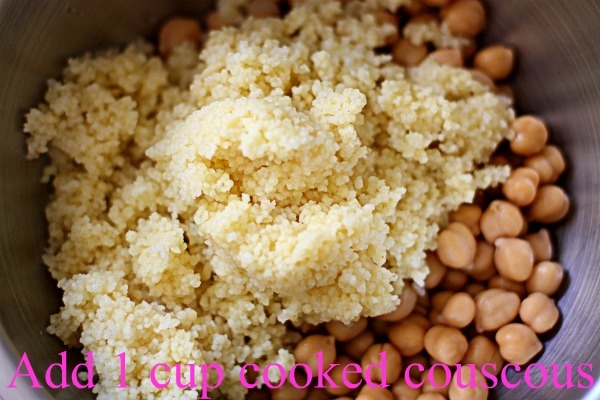 I really like the texture combination of chickpeas and couscous. Hope you have a wonderful weekend! That looks delicious! 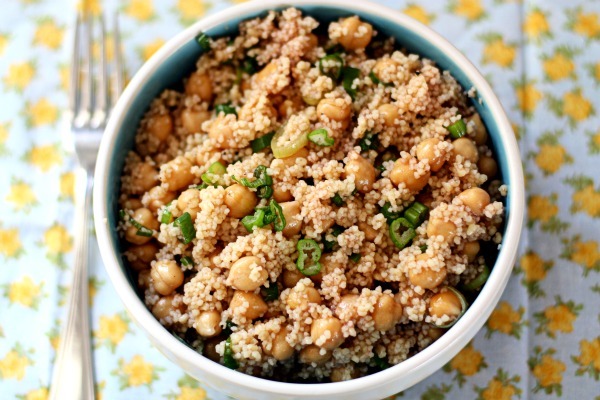 I bet it would work with quinoa, too.